Red wolves, distinguished by their reddish fur, are an endangered species of the temperate deciduous forests in the southeastern U.S. Traditionally, they were top predators who helped balance the forest ecosystem by keeping other animal populations in check. Despite restoration efforts, red wolves' fate still hangs in the balance today, threatened mainly by human activity and interbreeding with coyotes. Red wolves play an important role in the temperate deciduous ecosystem. They prey on nuisance animals, like rabbits, deer and small rodents, that cause damage to crops, levees, roads and farm equipment. If nuisance animals are not kept in check by predators, they may in turn deplete levels of their own prey, such as birds and turtles. So a healthy red wolf population helps to keep the entire food chain in balance. Scientific interest in the red wolf began in 1871 when scientist William Bartram observed them in the forests of the southeastern U.S. For nearly a century, scientists kept tabs on red wolf populations by imitating their howls to encourage them to respond, as well as studying their tracks. By 1962, red wolf sightings in the wild had become extremely rare. They didn't answer researchers' howls as they had in the past, and their tracks seemed to have disappeared. Until that point, the wolves had been thought of as top predators. By the '60s, habitat destruction and aggressive efforts to control their population during the first half of the century had wiped out significant numbers of red wolves. 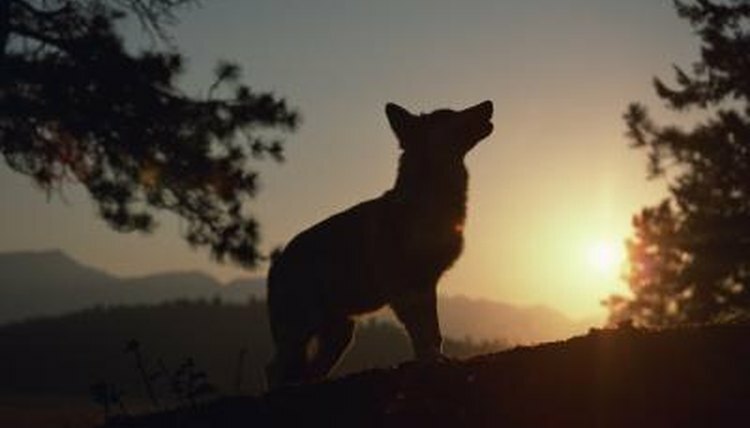 The numbers dipped even further as the wolves bred with coyotes, gradually losing their genetic identity in the process. Since then it's been a rocky road for red wolves. The 1967 Endangered Species Protection Act named them an endangered species. When the act became a law In 1973, researchers made serious efforts to restore their population. In 1980 they moved the last wild red wolves into captivity, declaring them extinct in the wild, hoping to build up their numbers in captivity and reintroduce them into their natural habitat. In the late 1980s, the first wolf pairs were released back into the wild in North Carolina, and the first new litter of wild pups was born in 1988. Despite successes during the late '80s and '90s, by 1998 red wolf pups were showing low survival rates and wolf packs seemed unable to establish stable home territories. Coyote migration into red wolf territory and subsequent mating and hybridization also took a toll on populations. The problems continue today, despite efforts to strengthen red wolf populations. Activists identify the most significant threats to red wolf populations today as illegal shootings, interbreeding with coyotes and competition for home territory and prey. Efforts to protect and restore red wolf populations are aimed at increasing the number of both wild and captive wolves while also monitoring the gene pool. Current objectives include restoring red wolf populations in areas they occupied in the past in order to allow natural evolution to resume, maintaining 80 to 90 percent of the wolf's genetic diversity for 150 years and preserving the wolf's future by cryogenically freezing embryos and sperm. How Do Wolves Affect Farmers? Why Is the Mexican Wolf Endangered?